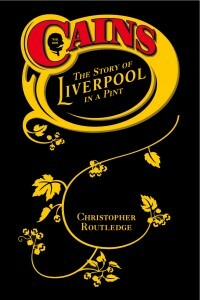 The identity of the new owner of collapsed Liverpool brewer Cains Beer Company could be unveiled as early as next week. The former AIM-listed brewer is currently in the hands of administrators at accountancy giant PricewaterhouseCoopers (PwC). The firm has spent the last few weeks sifting through a number of propositions for the business which went under two months ago with debts in excess of £30m. Front runners in the race to snap up the group are Sudarghara and Ajmail Dusanj, the pair who bought the Liverpool-based Cains in 2002. It is believed the pair have both the cash and the determination to buy back the business. Thanks to the Southport Drinker for the heads-up. I was taking a rare trip out of the office yesterday and missed this. Link.